Road-trip with three tech enthusiasts from small towns as they explore opportunities to pursue their interests in their backyards and beyond. Speaking with engineers, entrepreneurs, and more, the roadtrippers learn that when it comes to tech, it doesn’t matter where they plug in—just that they do. When most people think of innovative tech hubs, they’re more likely to picture Silicon Valley than a small town. But is it impossible to innovate outside the heart of a big city? 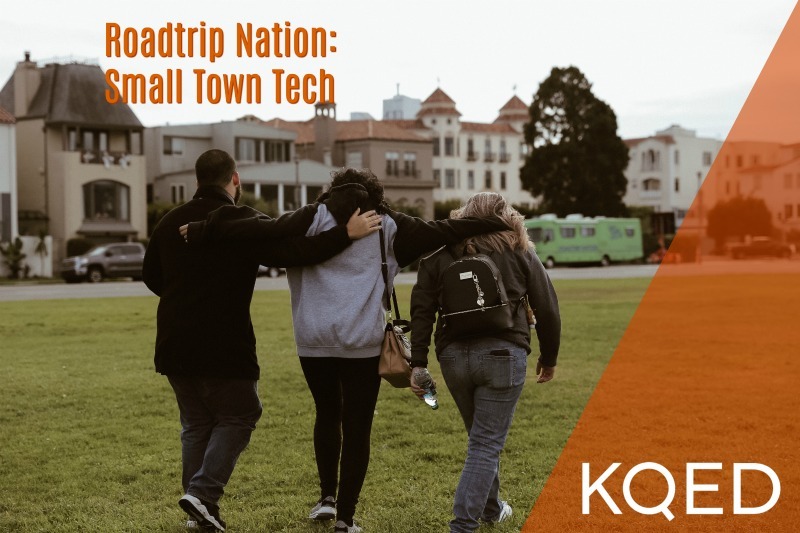 In Roadtrip Nation’s new one-hour documentary, Small Town Tech, three young people from Yuma, Arizona, set out to explore what opportunities are available to them in their backyards and beyond. They speak to people who didn’t let the size of their hometown determine the boldness of their ambitions—and realize building a better future can just as easily start at home as in a thriving city center. Roadtrippers Ericka Amaya, Joccelyn Cardenas, and Anthony Brock each enjoy hands-on problem solving. Their next challenge is finding their place in the wide world of technology. 20-year-old Joccelyn (Jocey for short) wants to work in the gaming industry but doesn’t see much opportunity for coders or programmers in her area. Anthony, 20, dreams of one day owning his own tech shop, but hasn’t yet found a way to pay for college—and feels he’s reaching the limits of self-education. 18-year-old Ericka is proud to be from a small border town and wants to do something for her community, but is torn between pursuing cybersecurity, the medical field, or homeland security like her father. Over two weeks and 1,500 miles, with featured stops in Los Angeles, San Francisco, and Yuma, they interview people whose paths into tech began in, or led to, small towns. Speaking with everyone from software engineers and CEOs to medical professionals and game designers, the roadtrippers begin to see how expansive their paths can be despite any challenges they face. 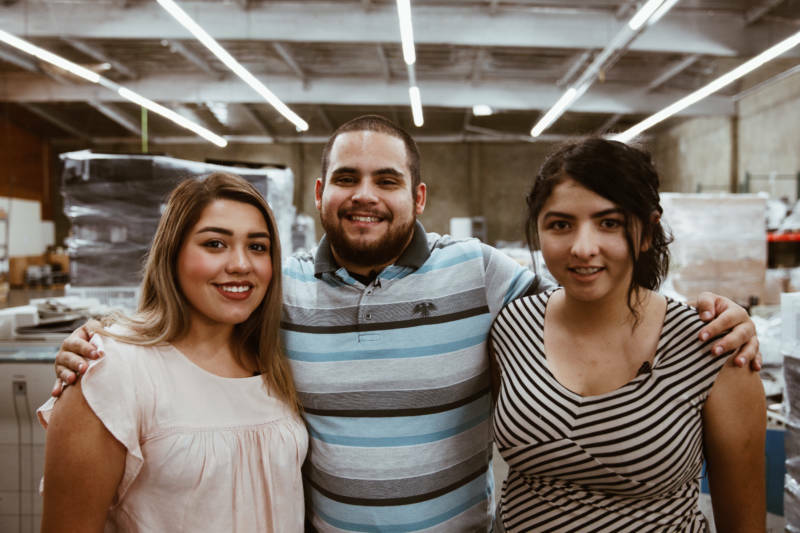 They hear from leaders who not only found ways to plug into tech industries, but did so as immigrants, first-generation college students, or women in male-dominated fields. Embracing challenges is a common theme as the roadtrippers talk to leaders like Isis Anchalee, the founder of the #ILookLikeAnEngineer hashtag promoting diversity in the industry; Angelica Inguanzo, a frontend engineer at YouTube bringing the platform to a wider audience; and Raza Ahmad, a narrative creator bringing his gameplay ideas to augmented reality games like Pokémon Go and Ingress. 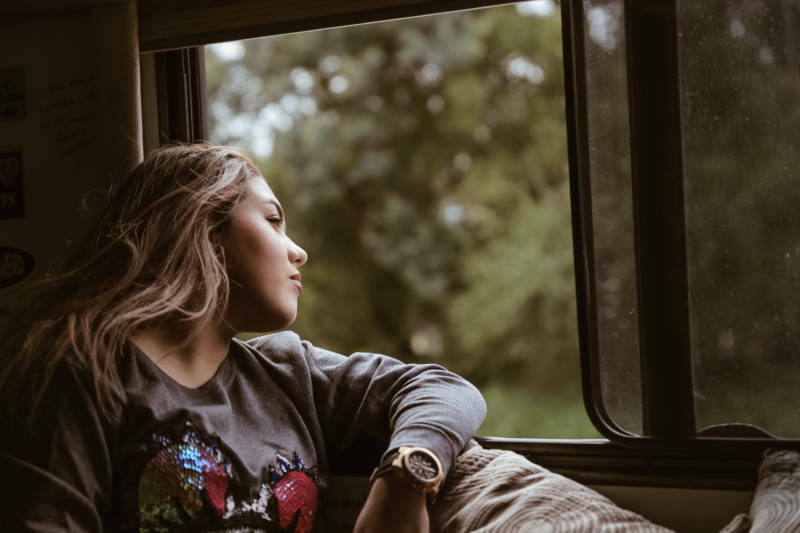 Along the journey, Ericka, Anthony, and Jocey begin to see that their worries about finding a place to apply themselves can be relieved by the very interests that drive them. ​Technology allows people to work across time and space; its applications are endless—and, as the roadtrippers learn, no one is too far out of range to make a living doing what they love. Joccelyn’s favorite subject in school was always math, but she wasn’t sure about studying it in college. That all changed when she realized that math plays a huge part in computer science. Now she’s found her subject. She loves coding and video games, so after she finishes her major in computer science, she’s aiming to work in the gaming industry. She’s looking for guidance from people working in that field and many more, so that she can pursue her dreams and become a role model for others, too. Anthony feels a lot of pressure to do something great with his life—especially since he’s the only one in his family to graduate from high school. Because he’s the first, there’s no one to help him navigate the next step in his education. And he has so many interests, he’s not sure which to choose: satellites, 3-D modeling, computer science, and more. One possible route is the military, but until he decides for sure, he’s uncertain of his next move. Most of all, he’s looking for a community that will support him as he finds his focus. Ericka is excited to explore all kinds of fields, from law enforcement to cybersecurity to medical and agricultural technology. She was a super-involved leader in high school, and she’s on track to be first in her family to finish college. Her father is a border patrol agent, and that’s inspired her to look into studying administration of justice with an emphasis in homeland security. On this trip, she wants to find all the ways that technology can be a gateway to everything she’s interested in, and to pave the way for others behind her.